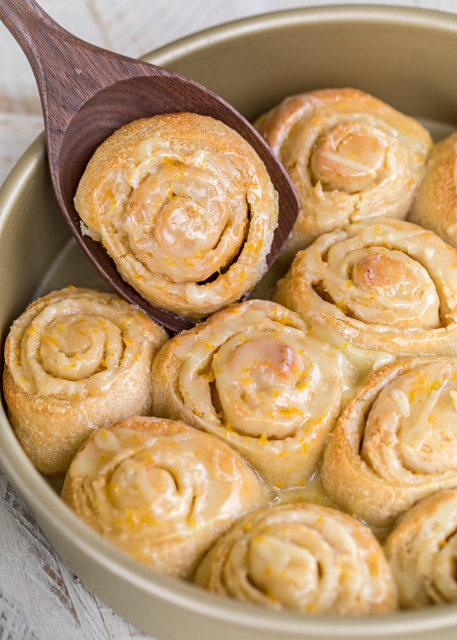 Stop what you are doing and make these Quick Orange Rolls NOW! OMG! These things are SO good!!! We devoured the whole pan in about 5 minutes flat. No joke! They are ridiculously good. There are a couple of places in my area that are famous for their orange rolls. 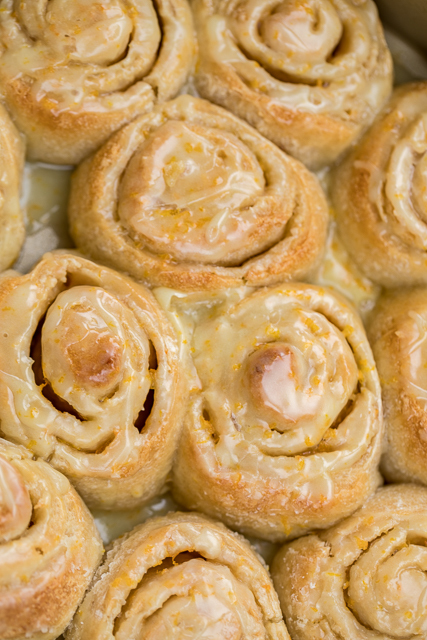 These Quick Orange Rolls are just as good, I would argue better, than those "famous" places. 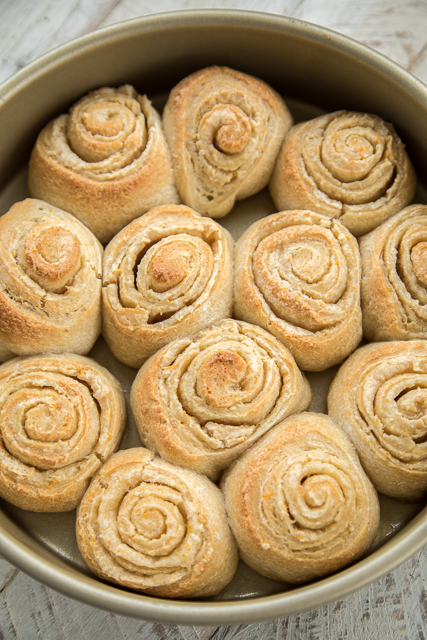 They are also a 1000% better than the canned orange rolls we usually make! 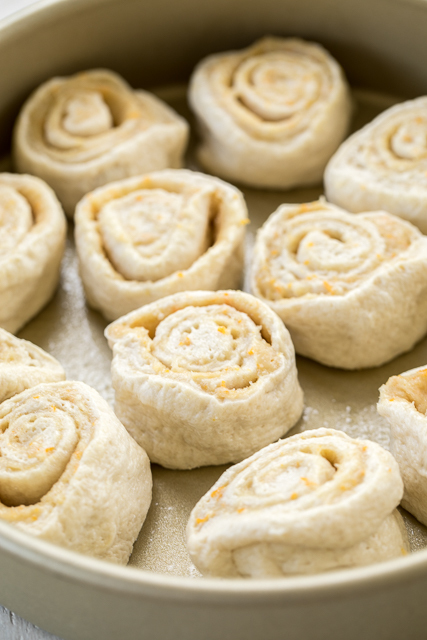 These Quick Orange Rolls are super simple to make. They were to bake before the oven had fully preheated. The key to the quick prep time is using a can of refrigerated french bread dough. No rising required! Make sure to use fresh oranges in this recipe. It really makes a difference in the taste with all the yummy fresh orange zest. 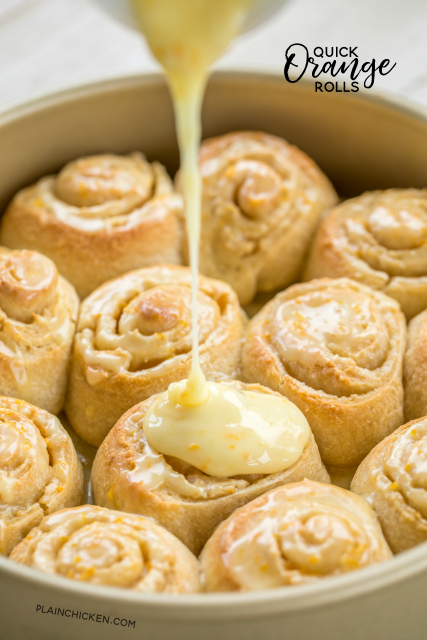 I love how easy these orange rolls are to make. We can have them anytime we want! We've been eating them for breakfast the past few weekends and they are on the menu for this weekend too! We just can't get enough of them! They would be great for Christmas morning too!! Beat cream cheese, brown sugar, and orange zest at medium speed with an electric mixer until smooth. Combine powdered sugar and orange juice. Spread over rolls. The title above the recipe is: QUICK KING CAKE BRAID. Oops! These look Amazing! Can't wait to try them. Definitely not waiting for the weekend, either!! How much orange juice for the topping with Powdered sugar is the 1-2 T. Milk supposed to be orange juice? Yes - It should be 1 to 2 tablespoons of orange juice for the topping. I fixed it. Thank you! Is the french bread dough the same as the french bread loaf? These look amazing!!! I can't wait to try the Christmas morning!!! I used my one hour roll recipe, then followed your instructions on the filling and the glaze for my family Christmas dinner tonight. They turned out insanely delicious! Your recipe will not only be on a regular rotation, they have begun a new tradition. Thank you so much for sharing. I love your blog and other recipes of yours that I have made. Can you share your one hour roll recipe? Thanks! Can these be made ahead of time, to pop in the oven Christmas morning? I haven’t tried them that way, but you can give it a try! I’ve baked them and reheated them and then frosted them.